The problem with a relatively new product, even one that has been in the market for more than two years, is that most people do not trust it. 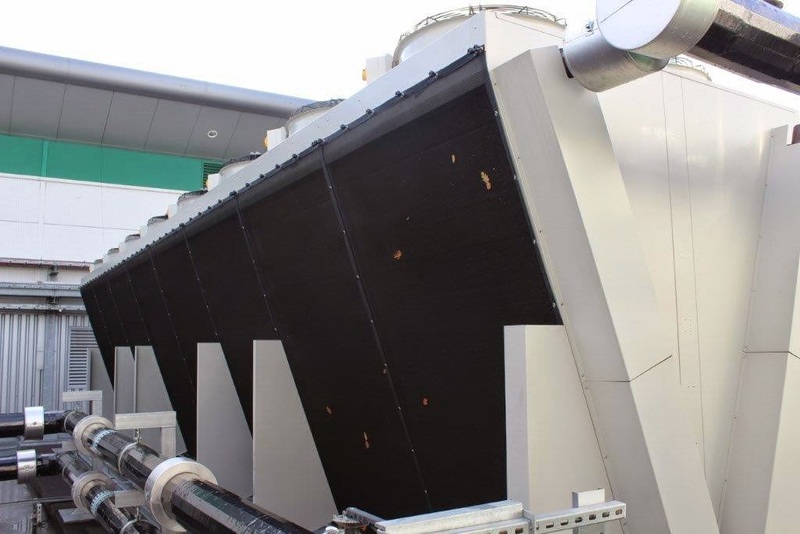 Claims of energy efficiency, asset protection and reduced maintenance costs mean that the air intake screen is a must do installation for facility managers, site maintenance teams and energy managers. If you can stop the airborne debris getting into your cooling coils, cooling towers and other equipment you reduce maintenance costs and improve efficiency. And if you don’t believe me take a look at your chiller coils and the engineer trying to keep them clean. We at Air Intake Screens UK have discussed, written and presented the benefits of an external air filter and how YOU can save a lot of money by fitting this unique product from Permatron. Small samples have been fitted in many buildings to demonstrate just how well these external filters work and how much debris they collect from our clean air environment. Each time a sample has been fitted a new installation follows. That is why we have manufactured some larger samples for you to test on your own facility. Measuring 2.6m x 1.4m these air intake screens can be fitted over your louvre, coil or other air intake and will prove that they can do the job that we say they will. You get proof that an air intake screen will work before you commit to purchasing. We get a great example to write about and another satisfied customer. What if your opening is smaller or larger than this? Then talk to us on 01635 248633 because we have different sample sizes available and can also adapt what we have to suit your application.